There are plenty of things to do away from the slopes. The Klosters village is lovely to wander around and there are plenty of little boutiques that are well worth poking your nose into, while there are also charming wooden restaurants in Klosters and the neighboring villages to go for a quiet cup of coffee. 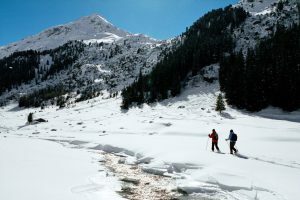 Outside of the village, the stunning scenery can be fully appreciated along some 120 kms (78 miles) of well-prepared winter-walking paths around Klosters and Davos. There are also opportunities for Nordic walking or snowshoe trekking, definitely a different way to experience the mountain scenery. 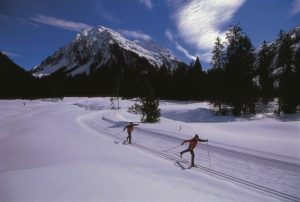 Cross-country skiing is served by 105 kms (69 miles) of tracks that access some of the prettiest valleys in the Klosters/Davos region. 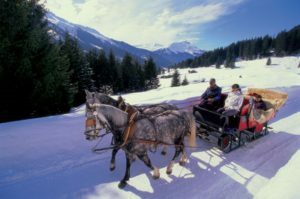 There is ice skating and curling and leisurely sleigh rides up the valley, which are always a hit with children and adults alike. For those determined on less comfortable activities, there is tobogganing on the Gotschna and Madrisa, providing plenty of snow thrills and spills! There is also a new sledge run on the Selfranga – when snow conditions are right- with specially banked corners, much more akin to a bob run. Not for the faint hearted, para-gliding can also be arranged and this is guaranteed to afford the best views of the mountains!